Today my post is about Twinchies. Only just discovered these pretty much along with ATCs but only now started to make some. 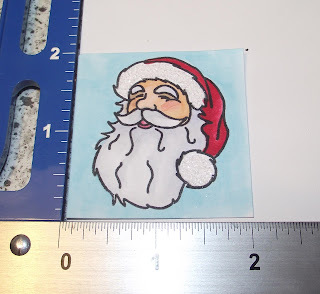 Made in the form of a 2x2 inch topper, the aim is to minaturise your art to fit this small canvas. This is my Twinchies for the challenge running over at the very clever site called Show us Your Twinchies. Just have a look at the detail and the art you can get onto a canvas that small. Amazing! I am trying to work myself up to getting some Christmas cards made, so if you want, I'm starting small. 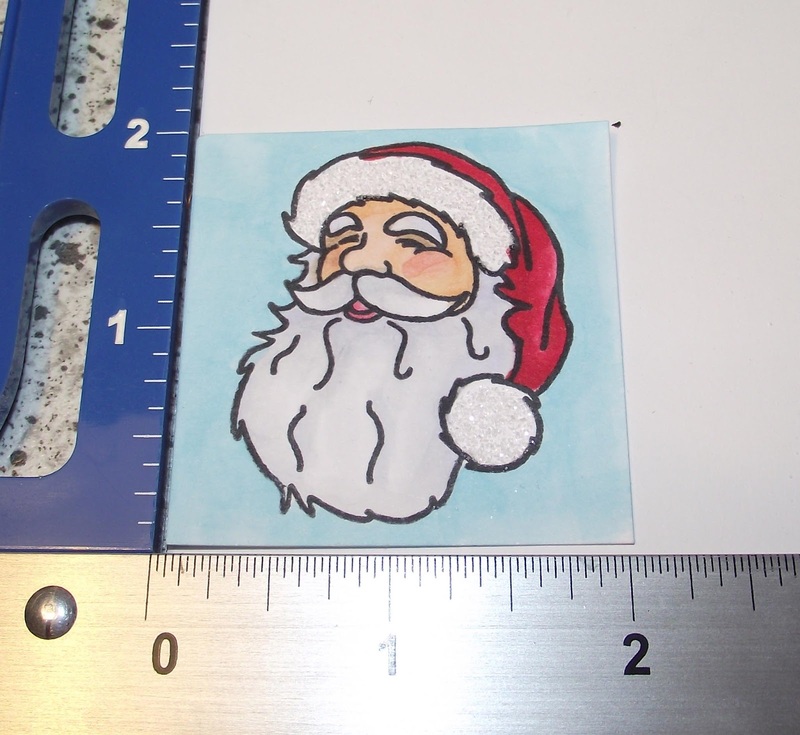 Mine is a 2x2 inch Santa Claus, coloured with Copics and some fine glitter powder to highlight his hat. The photo doesn't show the glitter but it does make the trim on the hat stand out. I love doing this and I recommend you give it a try too. Thanks for stopping and reading my blog. Your time and comments are appreciated.